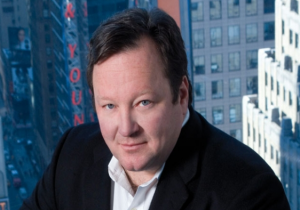 Viacom is moving ahead with plans to launch a new direct-to-consumer platform in the US as well as ramping up its studio production initiative globally to create new first-run content for third-party platforms, according to CEO Bob Bakish. Speaking to analysts after the company posted its fiscal Q3 results, Bakish said that one element of the company’s “multi-dimensional approach to ensure that we’re making the most out of our assets and capabilities” in OTT would be by “launching a new D2C platform, which we’ve referenced previously”. Bakish had previously referred to this plan at the time of Viacom’s Q1 results in February. He said at the time that the new service would launch by September, rolling Viacom brands into a combine service that would be distributed by mobile telecom operators. Bakish also highlighted Viacom’s cross-portfolio studio production initiative, which he said was not about licensing library product wholesale to SVOD platforms but about “new first-run content for SVOD platforms and other third parties”. He said that Paramount TV’s growth had sown there was a growing appetite for premium episodic video content, but that there was now “a much larger opportunity” that will see Viacom build studio production into a US$1 billion business by 2020. He said Viacom had established studio production units at Nickelodeon, MTV and Viacom International Media Networks, with units at Comedy Central and BET to launch shortly. These units will “create new original content for third party customers leveraging existing and new IP”. Other initaitives will target the Latin American and Brazilian markets. Bakish said that the strategy to ramp up production for third party SVOD services was about “extending brand reach beyond pay TV” and about creating first-run content to extend brands tho other platforms and generate incremental revenues. Bakish said that Viacom was continuing to create “targeted D2C products” that are also distribute through partners, such as Nickelodeon’s Noggin, which launched on Amazon in May. Viacom exceeded analyst expectations in profits growth for its third fiscal quarter, despite a decline in revenue of 4% to US$3.24 billion. Operating income grew by 1% to US$752 million, boosted by a better than expected performance at Paramount Pictures. The company’s media networks division saw revenues dip by 2% to US$2.5 billion, with a 17% increase in ancillary revenues being more than offset by ta 4% decline in advertising revenues and a 3% decline in affiliate revenues. Domestic and international revenues each declined by 2% to US$1.99 billion and US$509 million respectively, with international revenues flat at constant currency. Paramount Pictures revenue was up by 58%. For filmed entertainment overall, a decline in international revenues of a third pushed the overall top lien down by 9% to US$772 million. Bakish said that the company’s turnaround was “delivering demonstrable and measurable results” as Viacom pivoted to beome “a truly multi-platform, global brand and IP-driven entertainment company”.